I think I can pinpoint the time when my fascination with the internal combustion engine started. I was about six and I had been invited to a friend’s birthday party at Dublin Zoo, which was pretty exciting in itself. But further excitement was provided by the fact that his father would drive us there – something that I found terribly exotic because my father, a somewhat eccentric Luddite, refused to have a car. The apogee of excitement, however, came with the car that my friend’s dad was driving. 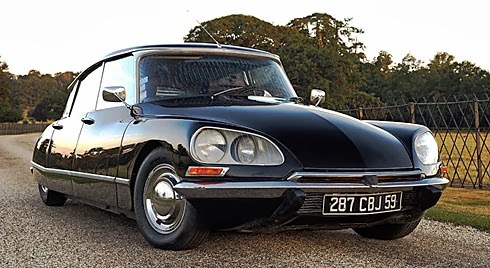 It was a black Citroen DS, sleek, futuristic, with a ride as smooth as velvet and – this was the thing that captured my imagination – it rose up when it took to the road and, in a sense, knelt down when it poured forth us very little boys at the gates of the Zoo. The friend’s dad was, I seem to remember, an architect. He wore a bow tie and smoked what I later realised were Gitanes. 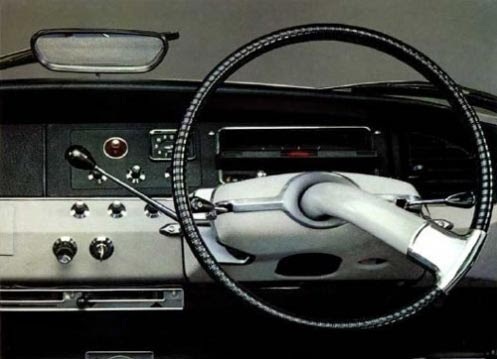 The Citroen DS, with its positively space age technology and that seriously funky steering wheel, was just the car for such a bloke. As a teenager, I coveted the Citroen-Maserati SM (we tend to forget that Citroen used to own a chunk of Maserati). 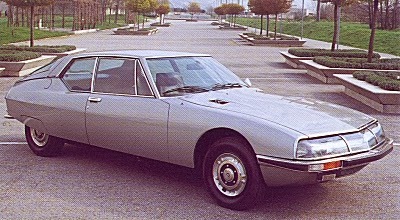 Citroen did the comfort while Maserati provided the power in the form of a 2.5 litre fuel-injected engine. There was a silver one parked outside the old Royal Hibernian Hotel on Dawson Street regularly and I used to drool over it while heading to Graham O’Sullivan’s for coffee, Gitanes smoke (there’s a theme here) and angst-ridden chats with my school mates. Citroen lost its way in more recent years. After the CX (1974-1991) and the XM (1989-2000) the brand collapsed into blandness, dubious dependability and somewhat tinny build quality. The quirky, eccentric, forthrightly Gallic originality of Citroen’s core values was lost to the likes of the Xantia (which I strongly suspect you can’t picture in your mind; I struggle to do so). 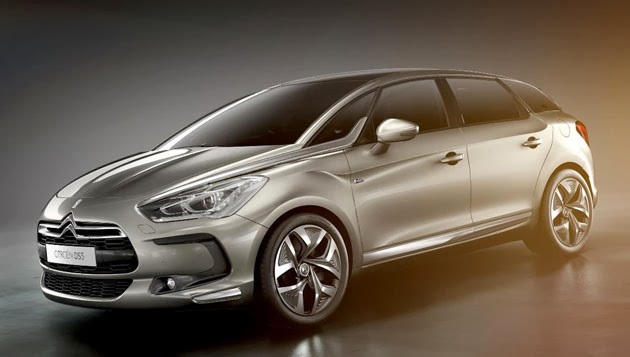 Well, times have changed and Citroen, the old Citroen spirit, is back. I drove three models recently and all of them had, for a start, a solidity and quality of build that had been conspicuously absent from the brand for yonks. I know I tend to go on about it, but when I close the driver’s door, I want to hear a certain sound. Ideally a bass-toned clunk. I got it with all three Citroens. 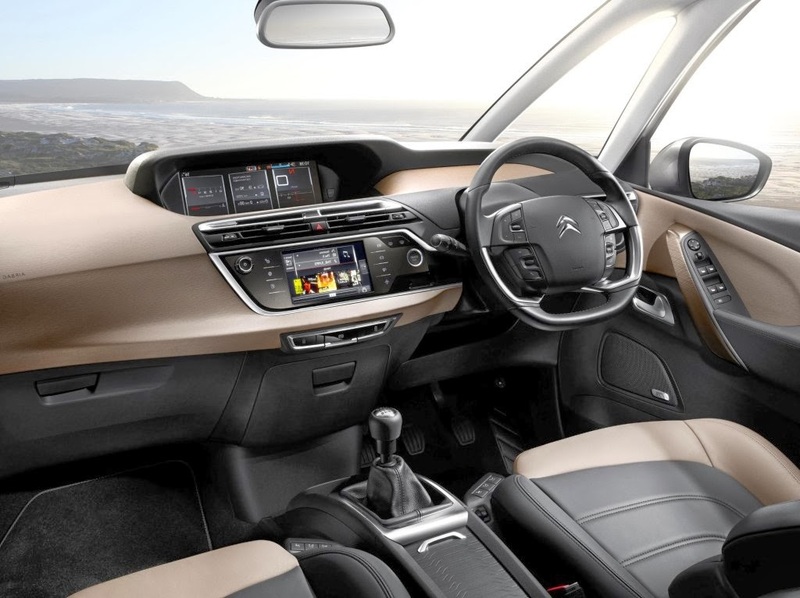 The new "DS" theme involves Citroen’s renewed embrace of clever, original design to give the models in question a certain extra je ne sais quoi. 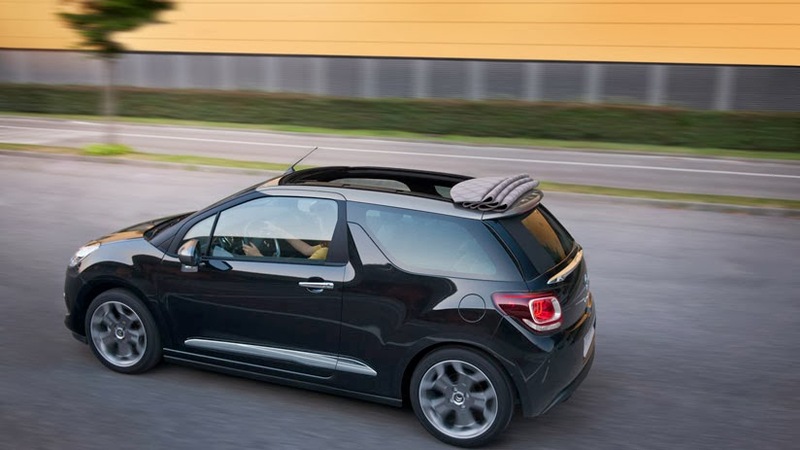 First there was the DS3 Cabriolet, a sprightly little 1.6 litre petrol engined two-door with a roof which retracts the whole way, exposing a great deal of sky above one’s noggin. I didn’t spend a lot of time in this mode, due to the Winter we have been experiencing but I can confirm that you can see a lot of sky. Whingers have complained that you can’t see out the back window when the roof is fully retracted. I would argue that this doesn’t actually matter, provided you know how to use your wing mirrors. The 118bhp engine is lively, with a surprising amount of oomph even from low revs and it is certainly a lot of fun to drive. On the flip side, it’s not entirely sure-footed on some of our less than smooth roads and there can be a bit of hoppity, skip and jump when cornering. This is a small, neat car but nevertheless it gets 5 stars in Euro NCAP crash test and comes with 6 airbags. Then I switched to the DS5 which is somewhere in the same category as the Passat or, perhaps, the Audi A5. It’s certainly stylish. Those sculpted twin exhausts look wonderful and the cabin feels very much designed as a unit rather than mixed up from standard components. It’s elegant, tactile, with hints from the aviation sector. The 158bhp 2.0 litre diesel I drove is sprightly too and very much more than adequate to haul the fairly considerable weight. My only real gripe was the ride. It’s probably fine on the smooth roads of European neighbours. In Ireland, and especially outside the city, every bump is acutely felt and, like the DS3, there’s a slight lack of sure-footedness on tight bends where the surface is less than billiard-table smooth. And then… and then came the revelation, the C4 Picasso (no DS this time) with its Tardis-like qualities. At first glance, it’s a moderately sized MPV. Quite neat, rather understated in terms of design but aerodynamic if deceptively like a normal car sitting on a booster seat. But inside, it’s a very different story. The C4 Picasso, once you sit into it, is huge. The sense of space is almost bizarre and yet, when you drive it, it handles like the size it really is. The 1.6 HDi engine, which I expected to struggle with all that, well, all that sense of space is more than up to the job while delivering fuel consumption, in my case at any rate, pushing into the high 60s in terms of mpg. Being an MPV, you don’t tend to drive it like the other two cars mentioned above but, notwithstanding that, I reckon it has a lot less body roll than most MPVs and the ride is supremely comfortable. In fact, just to make another foray into my childhood, my uncle had a Rover 3.5 P5 in 1970 and I remember sinking into the seats with a sense of luxury that was rare indeed when one’s benchmark was the Ford Anglia or the Fiat 125. Well, sitting in to the driver’s seat in the C4 Picasso that memory came back to me. Let’s just say that I was impressed. And I’m not the only one. 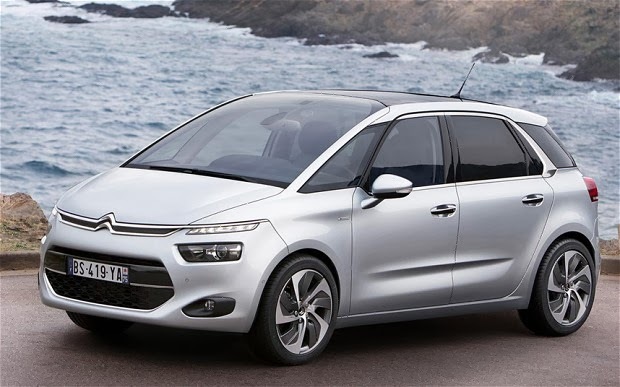 The C4 Picasso is Irish Car of the Year 2014.